It’s ornament-making season, folks, and I’m so excited! 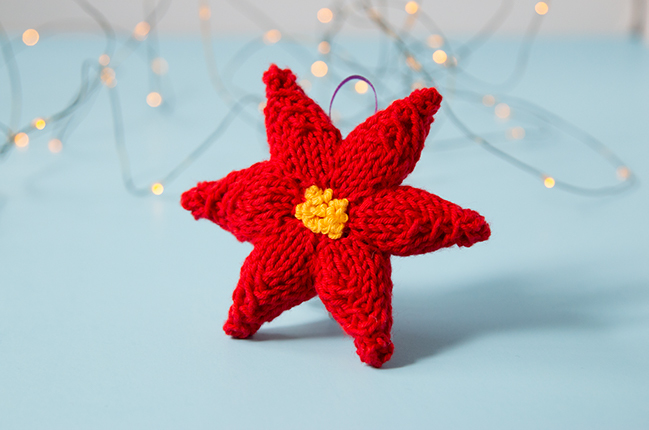 🤓 Grab your needles and hooks because each week for the next four weeks, another new knit or crochet ornament pattern is headed your way! 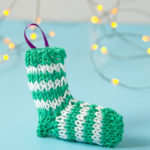 Sorry to sneak this first one in just before Thanksgiving (my mother would be so disappointed I’m Christmasing before Turkeying is done…), but the holiday clock is already ticking, especially for yarnies like us. 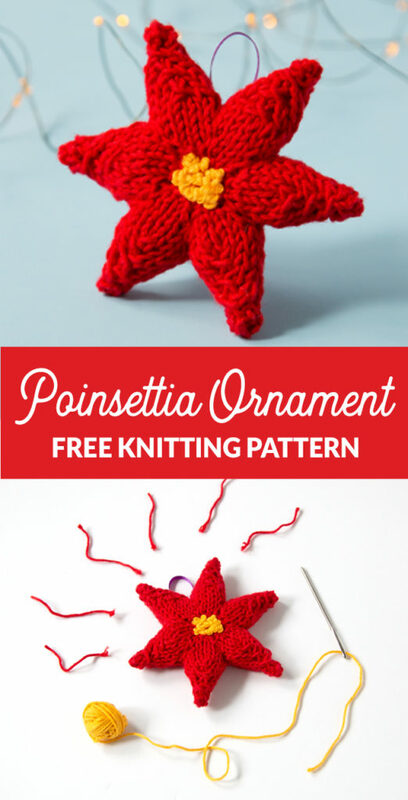 First up – we are casting on a cute little poinsettia ornament knit in pieces and adorned with little french knots to capture the texture of a poinsettia’s floral center. Who’s as excited as I am? For now, let’s kick off the 2018 Ornaments of Christmas with our first of FOUR ornaments designed in the style of the 20 that have come before. 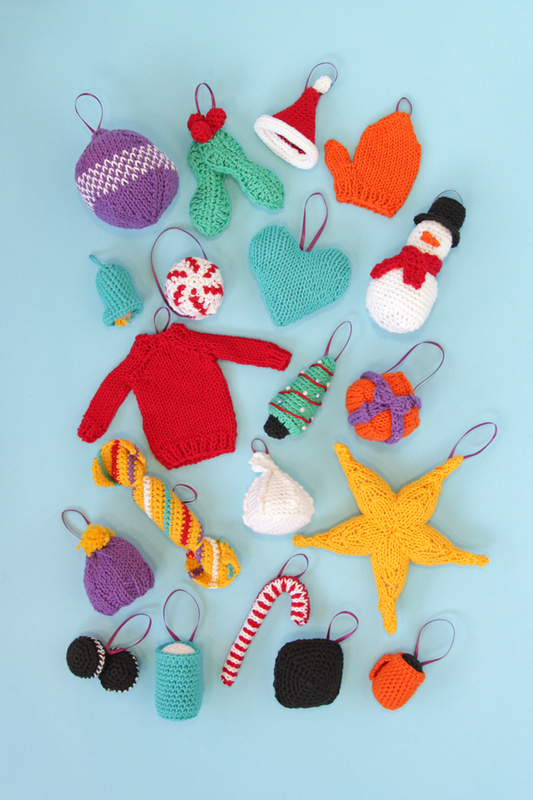 Just like in past years, all ornaments are knit or crochet using Lion Brand Yarn’s Bonbons, which come in packs of 8 mini skeins. The Bon Bons pack that we’re using is Beach, which is a cotton yarn that comes in bright, contemporary colors (and no browns!). I loved challenging myself to create a collection that still feels very Christmasy, but without the bounds of super-traditional colors. 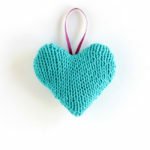 In addition to the colors, the cotton yarn results in some really fantastic stitch definition that helps make it clear that these guys are handmade, which is something that I think all makers can appreciate! 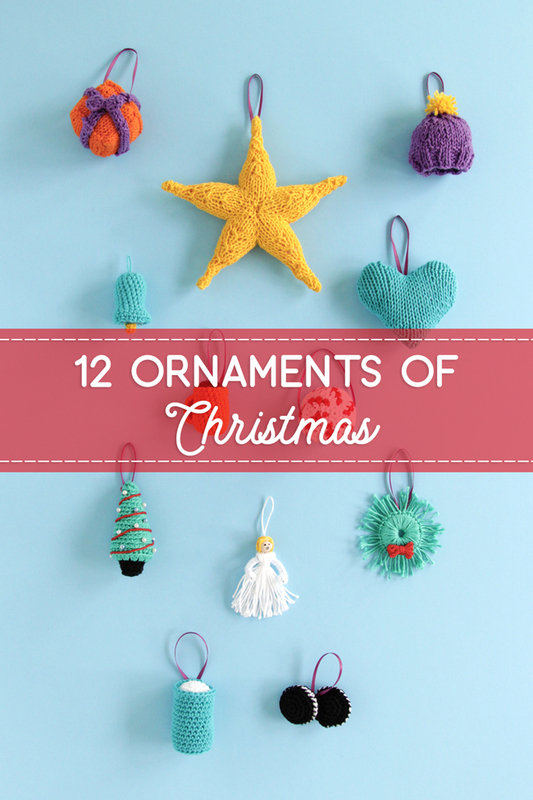 Here are links to all of our ornaments so far! If you make any of these, have made any of these, or are making any of the new ones coming out this year, please share the cheer! Use #handsoccupiedhohoho on Instagram & Twitter (there’s already some great contributions from makers from the last few years!). 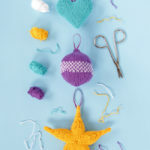 1 pack Lion Brand Yarn Bonbons in Beach, which comes with 8 mini skeins. 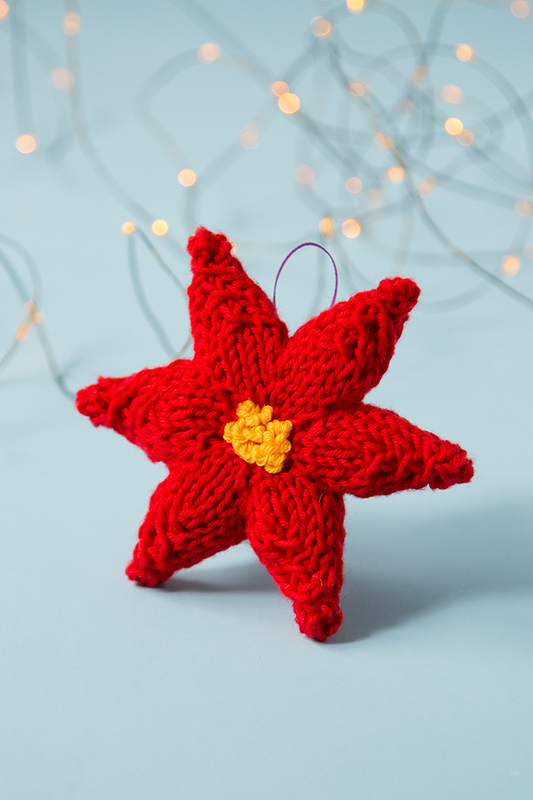 – You need less than a skein of red and yellow to complete the ornament. M1L – make 1 left. Here’s a tutorial. 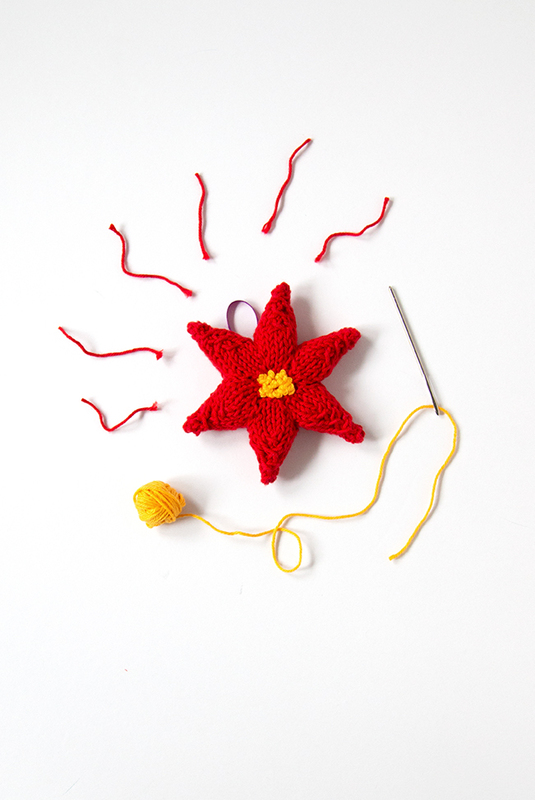 french knot – An embroidery stitch used to add texture. Here’s a tutorial. 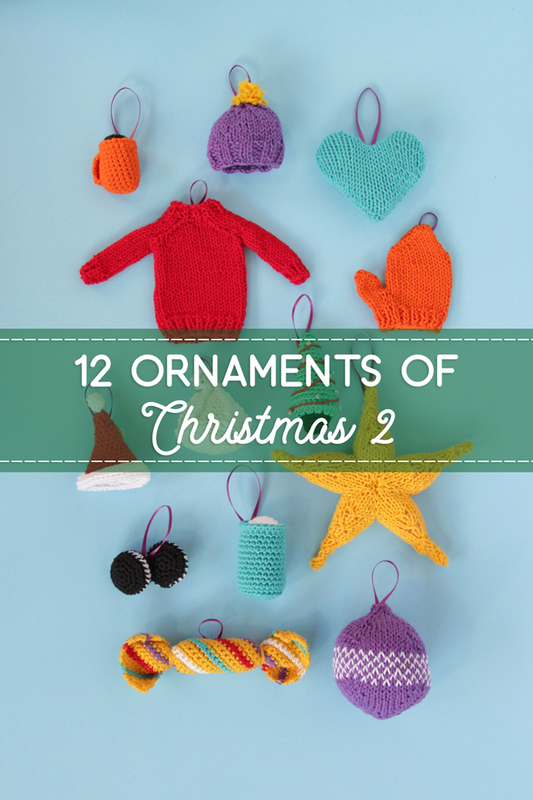 Gauge & dimensions: 22 sts & 28 rows over 4 inches, knit in stockinette stitch. Finished poinsettia is approx. 4 inches from tip to tip. 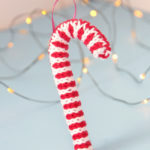 Using red yarn, CO 2 sts. row 1 & all odd rows. (WS) p all sts. 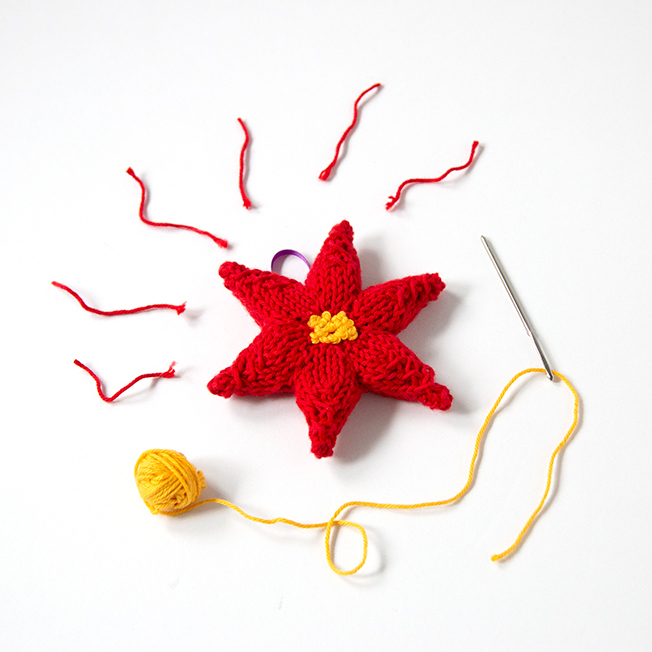 Using the mattress stitch, seam two sets of 6 petals into flower shapes as shown for form a flower front and flower back. 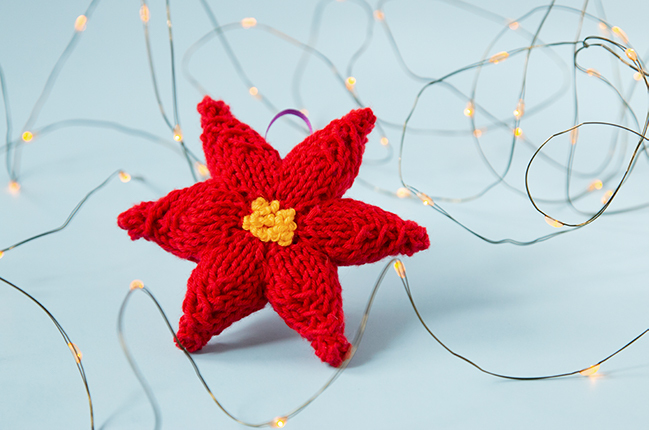 With wrong sides facing, seam flower front and back together using the mattress stitch, pausing to stuff your ornament before finishing seaming. 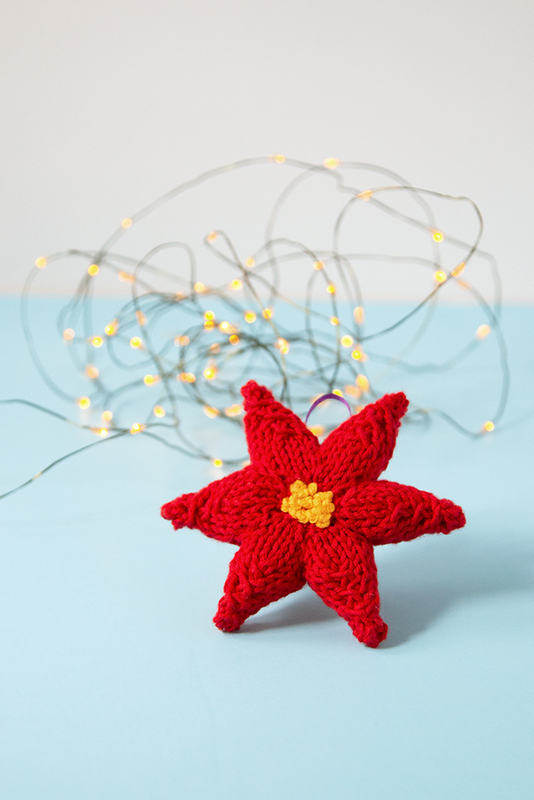 Sew a dense cluster of french knots at the center of one side of your poinsettia ornament. 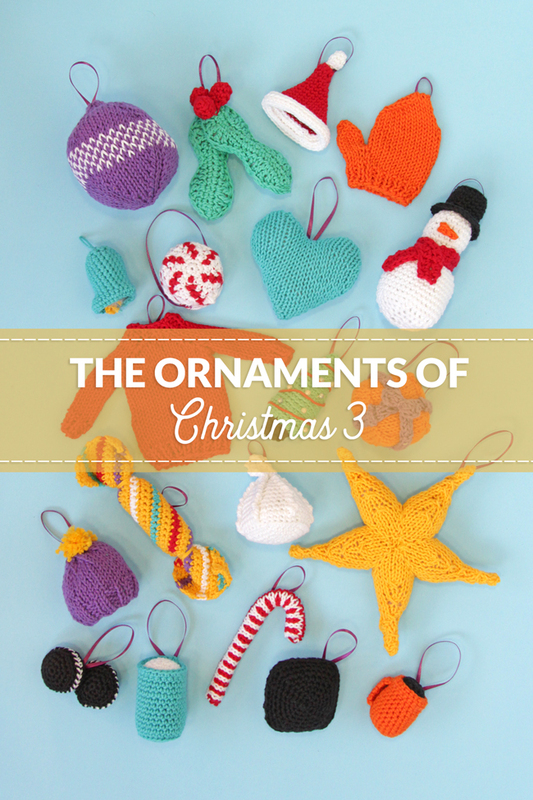 Sew a small loop of ribbon to the back of your ornament to hang.